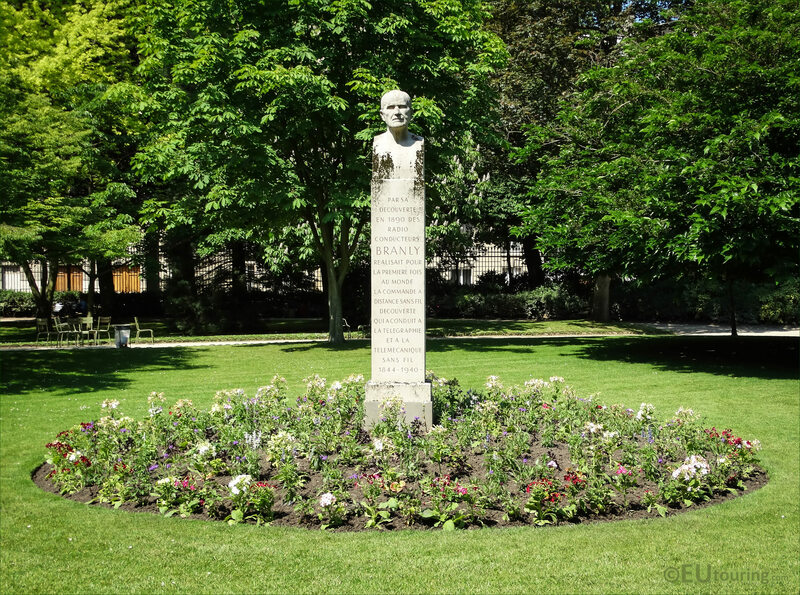 We were again in the Jardin du Luxembourg in the 6th Arrondissement of Paris admiring the numerous statues within the gardens and took these high definition photos of this monument dedicated to Edouard Branly by Charles Sarrabezolles. This first photograph shows the full stone statue with its inscription on the pedestal and a bust of Edouard Branly on top, which was placed within the Luxembourg Gardens in 1962 to mark the 70th anniversary of the discovery of radio conductors. 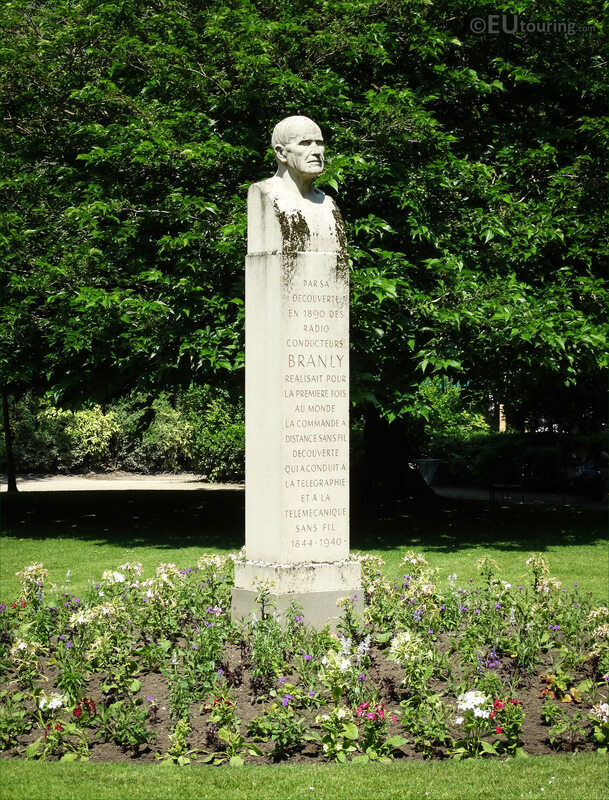 Now this next HD photo shows a close up of the bust of Edouard Branly, which was sculpted by Charles Marie Louis Joseph Sarrabezolles, sometimes known as Carlo Sarrabezolles, who was born in Toulouse in December 1888, and went to Paris in 1907 to study at the Ecole des Beaux Arts, becoming a renowned French sculptor. 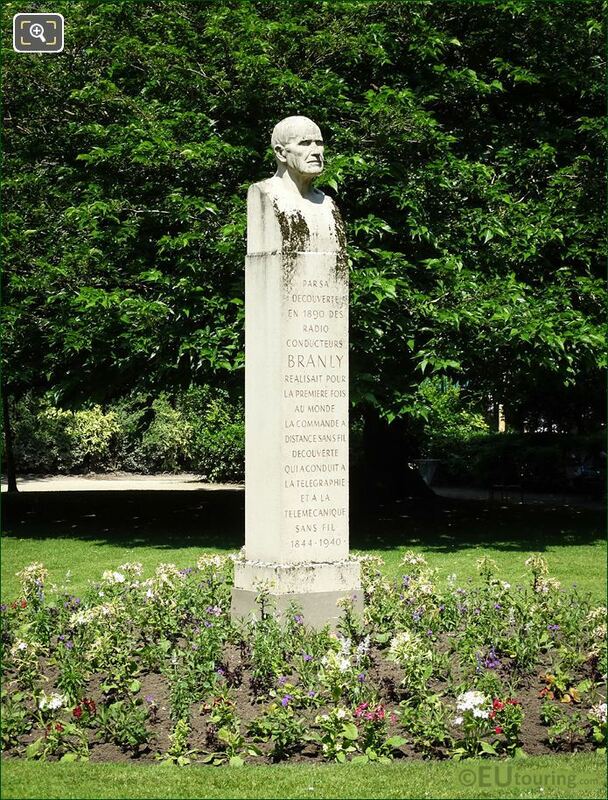 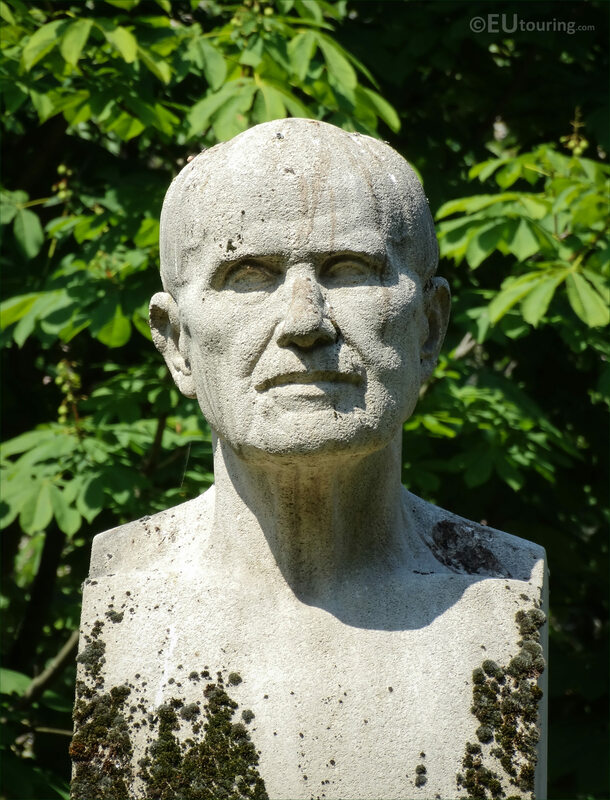 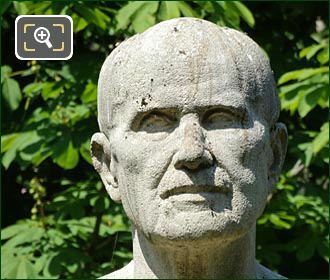 And in fact, it was in 1926 this sculptor developed a method of direct carving into setting concrete, which meant that a lot of his work after this was integrated into architecture with numerous commissions, however, later in his career Charles Sarrabozelles also produced numerous busts and monuments, prior to passing away in February 1971. 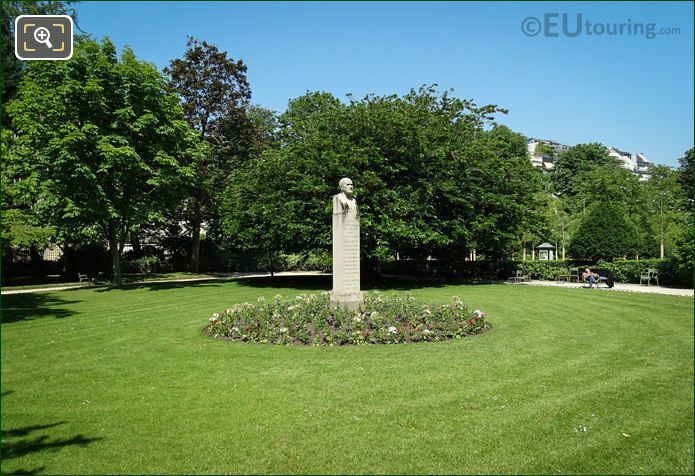 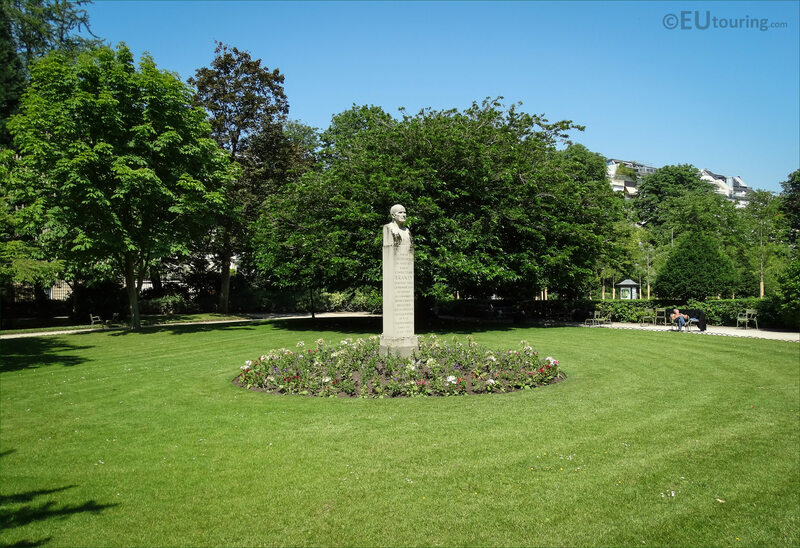 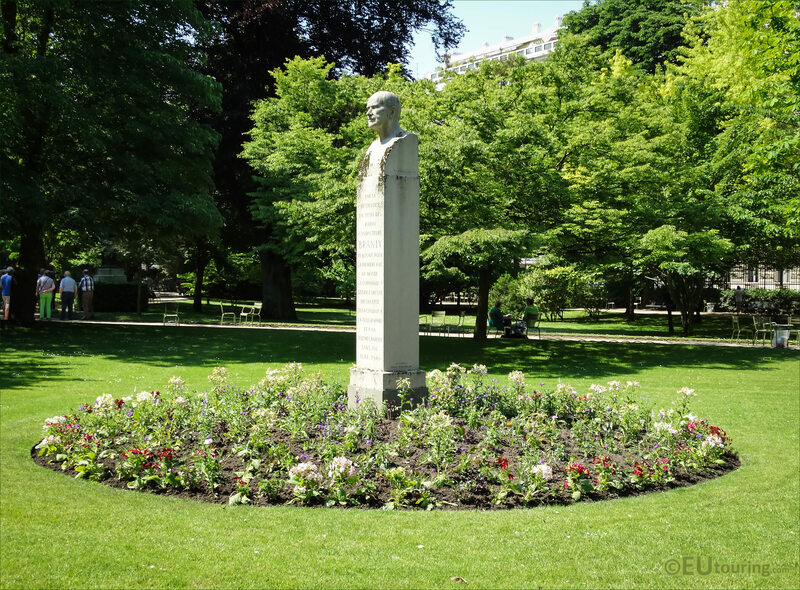 This next image shows the location of the Edouard Branly Monument situated in the middle of a lawn surrounded by a flowerbed with paths going around the edge, and you can find this in the western side of the garden, which is to the left of the formal garden as you are looking towards the Palais du Luxembourg. 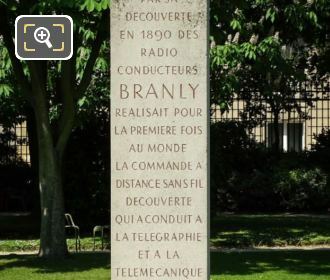 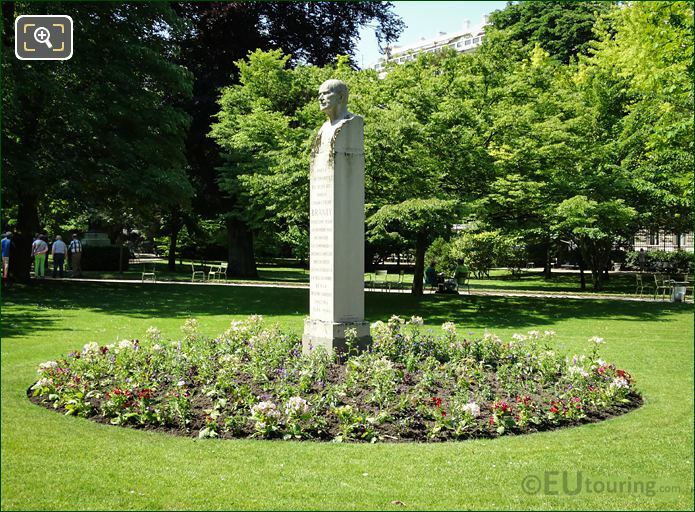 Yet here is another close up photo, this time showing the pedestal with its inscription dedicated to Edouard Branly who is recognised as the discoverer of radio conductors and with his invention in 1890 that led to wireless telegraphy. 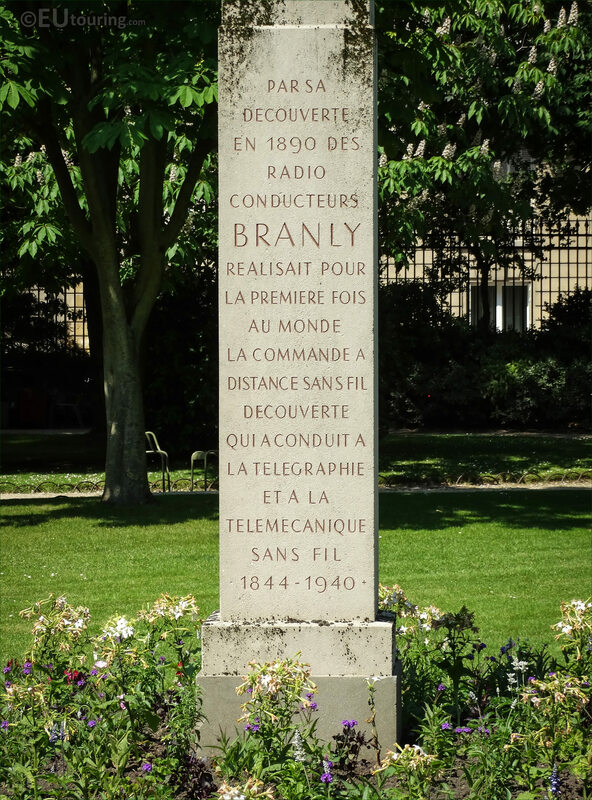 So, Edouard Eugene Desire Branly was born in Amiens in October 1844 and became a French physicist and a professor at the Institute catholique de Paris, yet as we mentioned above, he was also an inventor and was nominated for the Nobel Prize on three different occasions. 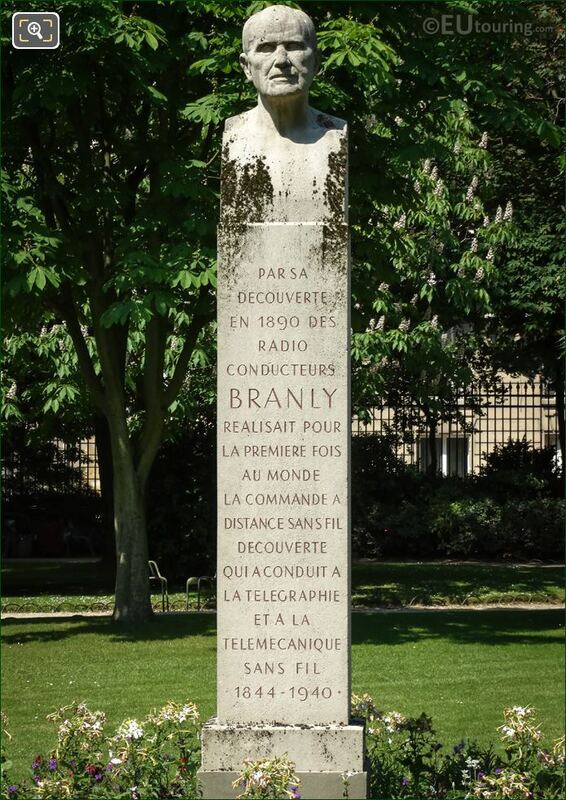 Plus he was the inspiration for Marconi according to the transmission that Marconi sent over the English Channel praising the remarkable work of Edouard Branly, and when Branly passed away in March 1940, his funeral was even held at the Notre Dame de Paris Cathedral, and his legacy of providing a milestone in engineering and technology still lives on from others that followed in perfecting communications, etc.